Are you aged 16 - 29 years and interested in a career in Sports and Physical Activity? Are you aged 16 to 29 years and interested in a career in Sports and Physical Activity? Helping young people gain sports qualifications, confidence and employment skills the Youth Employment Initiative is part of our pathway for coach education and development. The programme offers you a friendly personal mentor to help you identify training pathways and find placements to develop your experience and skills. Youth Employment Initiative will fund a sports coaching or fitness qualification to support your development. If you are not currently in education, employment or formal training you can access support from the Youth Employment Initiative. The Tees Valley Pathways Programme will support 8,698 young people aged 15 to 29 across the Tees Valley who are unemployed or inactive with the aim of progressing them into Education, Employment, Training or Self-Employment. The programme is delivered by a consortium of organisations from the Public, Private and Voluntary Sector. The overall contract value is £25.38m with £9.52m from European Social Fund, £9.52m from Youth Employment Initiative and £6.34m of Match Funding. It is part-funded by the European Social Fund and supported under the Youth Employment Initiative. The Tees Valley Routeways Programme will support 925 young people aged 15 to 29 across the Tees Valley who are unemployed or inactive with the aim of progressing them into Education, Employment, Training or Self-Employment. The programme is delivered by a consortium of organisations from the Public, Private and Voluntary Sector. The overall contract value is £2.67m with £1.00m from European Social Fund, £1.00m from Youth Employment Initiative and £0.67m of Match Funding. 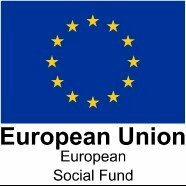 It is part-funded by the European Social Fund and supported under the Youth Employment Initiative.